Join me and two ... See More book bloggers friends (Casey from Literary Escapism and Nicola from Alpha Heroes) for this roundtable discussion. 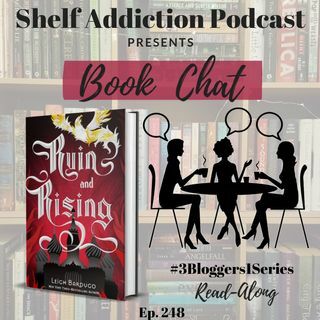 On today's Three Book Bloggers, One Series episode we are discussing the book Ruin and Rising (The Grisha Trilogy #3). The third and final book in the series. Find out What Series Is Next!